Are you trying to choose the best heating fuel for your home? If so, you are likely looking for the cheapest option. Price is a huge factor, but it is not the only factor to consider. To fully understand the costs and benefits of each, this comparison of heating fuels in Burlington may help. Cost: Typically costs more than natural gas but less than heating oil. However, propane is more efficient than natural gas in that less is required to produce the same amount of heat. What is lost in price is made up for in efficiency. Benefits: Propane is a clean burning fuel. It is non-toxic and is not considered to be a greenhouse gas. Cost: Heating oil tends to be higher in price, but it is also very efficient. Heating oil produces more heat per gallon than propane. Benefits: It exists in liquid form. Oil furnaces are the cleanest burning option in home heating. Cost: Natural gas is often the least expensive option, but it is the least efficient option as well. 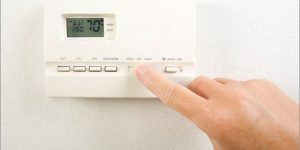 More natural gas is required to heat your home than propane or heating oil. Benefits: Easy to access if your home is located near gas lines. No delivery needed. Cons: Natural gas is a greenhouse gas when released into the environment. If your top priority is efficiency, which typically translates to being the least expensive option, propane or heating oil wins over natural gas. And if you do not have access to natural gas lines, these two fuels provide an excellent alternative. Ask the experts at Alamance Oil to help you decide which of these efficient home heating fuels would be best for your home. New customers benefit from free tank swap outs and maintenance agreements that include fuel delivery discounts. Call Alamance Oil at (336) 226-9371.